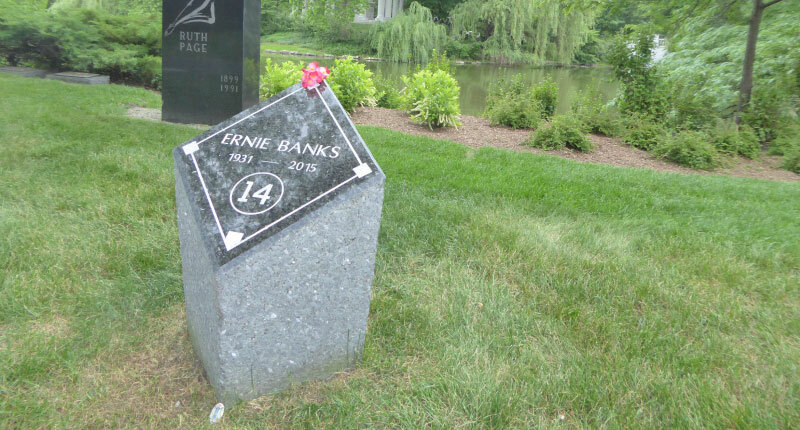 When Chicago Cubs Hall of Famer Ernie Banks died in January 2015, his burial site was shrouded in secrecy, no doubt to give his family and friends time to grieve. Today, baseball fans who want to pay their respects to #14 can find his final resting place just half a mile from Wrigley Field. His grave is currently marked with an elegant, understated black granite shaft. In the works is a new monument, close to six feet tall and more elaborate than the temporary one, according to Jensen Allen, associate director of Graceland Cemetery in Chicago. “It’s in a baseball diamond shape,” she adds, and then goes mum. She’s unable to divulge anything more. 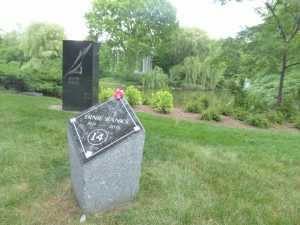 The temporary marker for Ernie Banks. To be sure, it’s unusual for so much secrecy to surround a cemetery marker. Then again, Graceland Cemetery, designed by landscape architects and a Level II Certified Arboretum, is the final resting place to many of the city’s most prominent figures. It’s also considered the cemetery of architects, which is one of the reasons Henry H. Kuehn, author of Architects’ Gravestones: A Serendipitous Guide and a trustee of the historic cemetery, was surprised to discover how few of the men and women whose work transformed the face of America didn’t take the same initiative to design the marker for their final resting place. 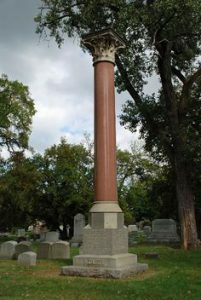 In the case of Dankmar Adler, Louis Sullivan’s partner in the firm of Adler & Sullivan, his monument is capped with a great column taken from Chicago’s Central Music Hall, a building Adler designed that was torn down the same year as his death. It’s a unique example of an architect being commemorated with an actual artifact from one of his designs. His resting place is at Mt. Mayriv Cemetery in Chicago. In other cases, memorials really were an afterthought. 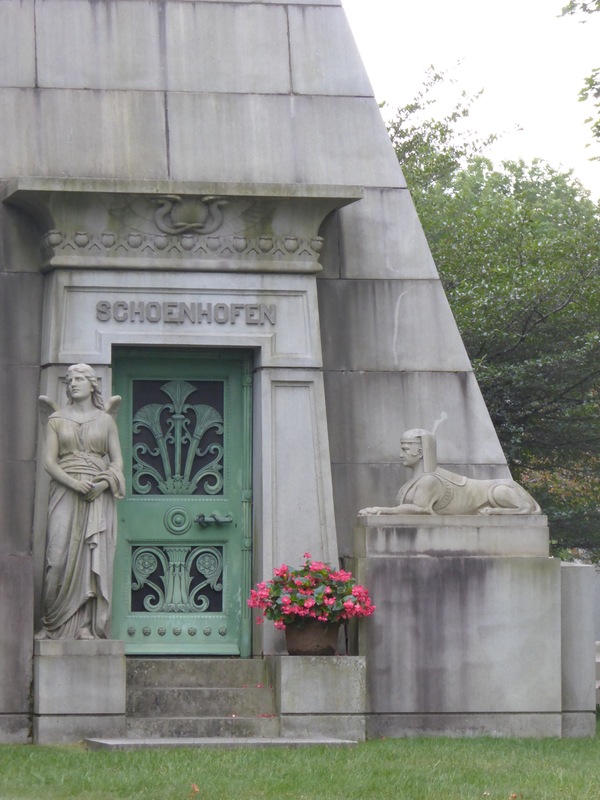 After apprenticing with other architects, Louise Bethune, credited with being the country’s first woman architect who opened an architectural office with her husband in 1881, is buried next to her husband beneath a headstone bearing only his name. Since then, the local chapter of the American Institute of Architects arranged for the installation of a plaque that includes her accomplishments and contributions. She’s buried at Forest Lawn Cemetery in Buffalo, New York. Kuehn believes people don’t think about cemeteries, where they’re going to be buried, or how they’re going to be memorialized. He would learn through his research that very few architects made their wishes known. Others didn’t want to have markers at all. “They just wanted to be part of the land and part of the area they grew up in and loved,” he says. Allen agrees. People are living longer, and death is no longer at the forefront of society, as it has been in the past. “Most people are not thinking about those details and planning them as they used to,” she says, adding that designing a final marker is among those details overlooked. Family members who want to have a marker designed must first understand what’s permitted in the cemetery, according to Allen. 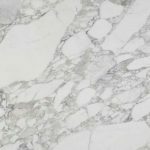 Due to limited space and maintenance concerns, Graceland Cemetery only permits flat flush single stones for new burials. Another factor to consider is timing. A large monument will naturally take more time and cost more to create since it’s larger and more complicated than a flat flush marker. During a non-busy time for the monument maker, a marker can take anywhere from three months to five years, says Allen. She shares the story of one man who has been working on his own marker for more than four years. His partner passed away and Allen believes that working on his own marker is part of his grieving process. This isn’t unusual—designing a final marker is an emotional process. 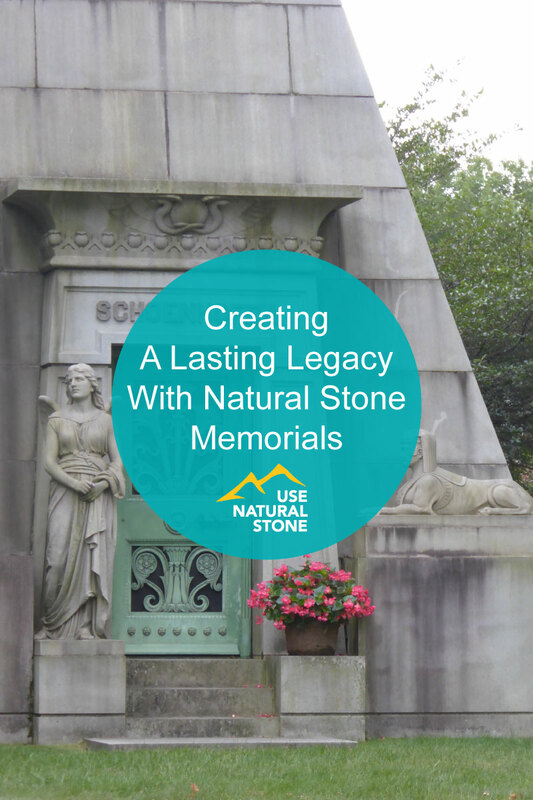 For those who want an artisan-designed monument or marker, many companies welcome visitors to their studios and carving facilities to learn about the art of stone carving and view the process of how a memorial is made. A mausoleum at Graceland Cemetery. Since markers and monuments tend to be more architectural than sculptural, perhaps it’s no surprise that the Graceland Trustees and Ernie Banks’ widow worked with an architect to design his monument. 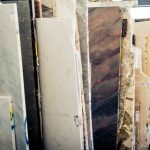 According to Kuehn, the ideas were developed in tandem and will be executed by a local stone company. 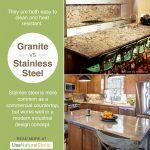 Architects devote much of their lives conceiving structures that often outlast them and admired for generations to come. In some cases, their mark really is eternal.